In recent days, Starbucks CEO Howard Schultz requested persons who can openly and lawfully carry weapons not do so in his coffee shops because a lot of his customers have complained. Schultz’s open letter of 17 September 2013 is a “respectful request” to gun owners to refrain from openly carrying weapons in Starbucks coffee shops. Unfortunately, some of my fellow lawful gun owners reacted as though Mr. Schultz was “gunning” for gun owners. Such is not the case. His “respectful request” is just that and nothing more. If one can lawfully possess and openly carry a weapon in states other than Texas, they can likewise carry a concealed weapon. Here in Texas we can legally openly carry only long guns. 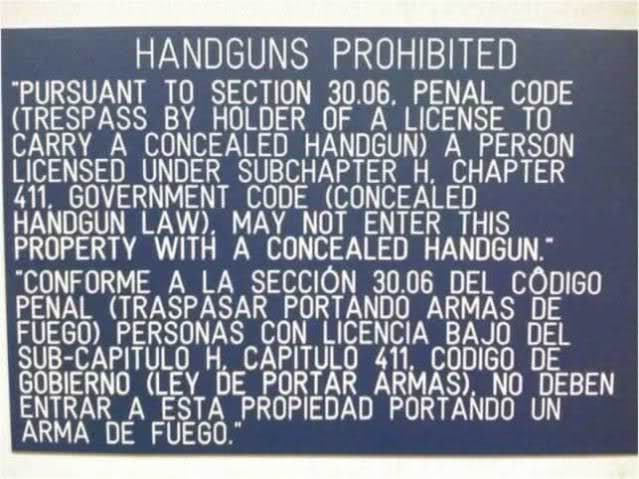 Therefore, Mr. Schultz’s “respectful request” has no bearing on Texas Concealed Handgun License holders. And so it is I make my own “respectful request” to my fellow Texas CHL holders to avoid inflammatory remarks, including profane rants and threats to boycott Starbucks. As I write this, I reach to the left of my computer monitor for a gulp of my favorite Starbucks blend French Roast. In accord with state law and Schultz’s “respectful request”, it’s legal and proper to bear our concealed firearms while we enjoy coffee and fellowship in our Starbucks of choice. By the way, there are three within walking distance of my home and I visit them all. We gun owners make more points with the public through education rather than through confrontation. CARGO Rockwall (Citizens Association for Responsible Gun Ownership) educates gun owners and law enforcement officers on current law, practical matters like gun selection, self-defense measures and youth firearm safety. We also work to foster civil, respectful relations between citizen and law enforcement. Join us every Second Thursday at Soulman’s Bar-B-Que in Rockwall. Come a little before 6 PM to go through the serving line and select a good seat in the private dining room. Presentations start promptly at 6 PM and end promptly at 7 PM. Afterward, stay as long as you wish to talk with law enforcement, attorneys, elected officials, CHL instructors and firearms dealers. Our meetings are always family-friendly. Children are welcome and invited. Looking for CHL instructors? We can help. Send your request to the below email address.